There are still a few days (until Oct 31) that hawk interpreters are at Hawk Ridge, Duluth (9:00am to 4:00pm). Bigger birds are still moving through; on Oct 26 there were 580 red-tailed hawks and 232 bald eagles. 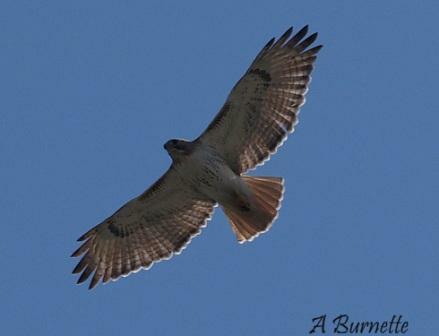 On Oct 27 there were 500 red-tailed hawks and 119 bald eagles. Rough-legged hawks, northern goshawks and golden eagles are just a few speices that should still be seen moving through for several weeks yet. The website has links for directions and other information.